Sensperience – feel the game! You will literally escape from a room in this completely new game with all the favourite elements of an “escape room” adventure – but this time in the fresh air! Here is a unique adventure that takes place entirely outdoors, in the streets of the old town centre of Maribor, in which through solving riddles and puzzles you’ll learn little-known secrets of the city, discover surprises and have great fun! Your mission: Break the spell over Maribor! Maribor witches were known for “cooking up hail storms”. Their spells could trigger violent storms that could completely devastate the city. A descendant of witch Agata has found a book of magic spells and by accident has cast a terrible storm. Black clouds – darker than ever seen before – are approaching Maribor! The only thing that can save you is to brew a magic potion that will nullify the evil spell. You will have to find the six secret ingredients in the city, with the help of the witch hunters’ locked book. Don’t delay! Go quickly on your way! You have only 60 minutes before the thundering hail and lightning come and destroy the city! Sessions are available every day at 11h, 13h, 15h, 17h and 19h. Advance bookings via Internet are mandatory, since Enigmarium unlocks its doors only at previously scheduled times. You can pay via bank transfer or at the location when you arrive to play. 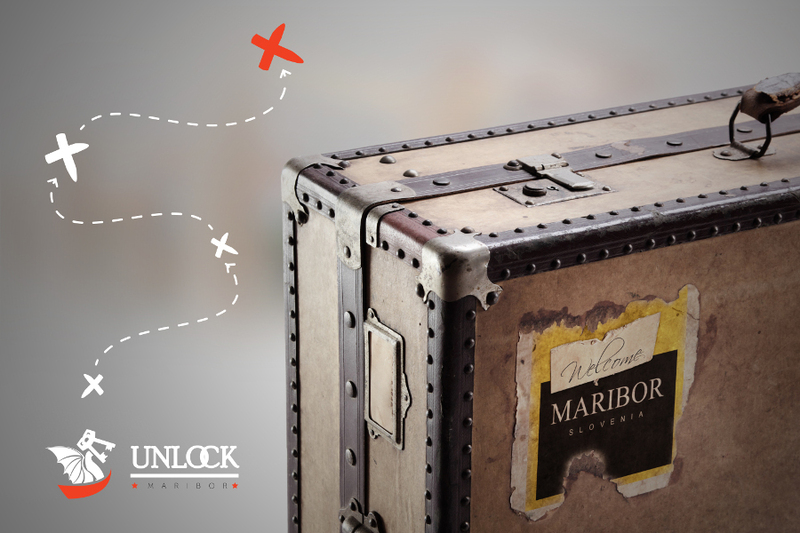 Please call us at +396 (0)41 33 44 10 or send us an e-mail to Enigmarium.maribor@escape-room.si in order to make other payment arrangements.